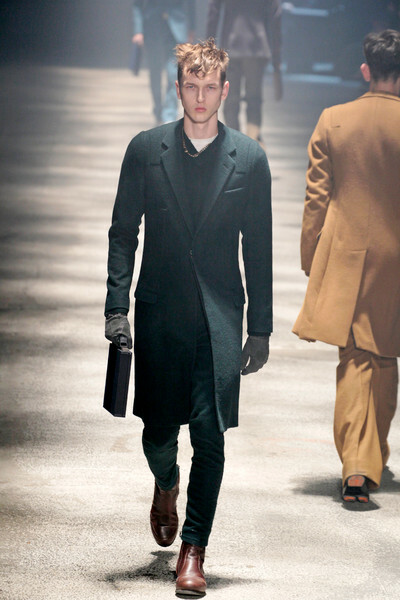 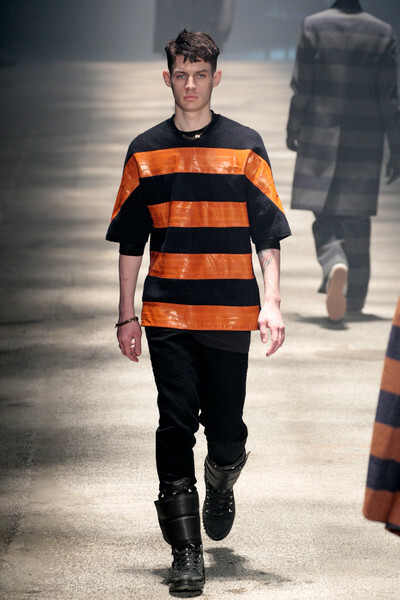 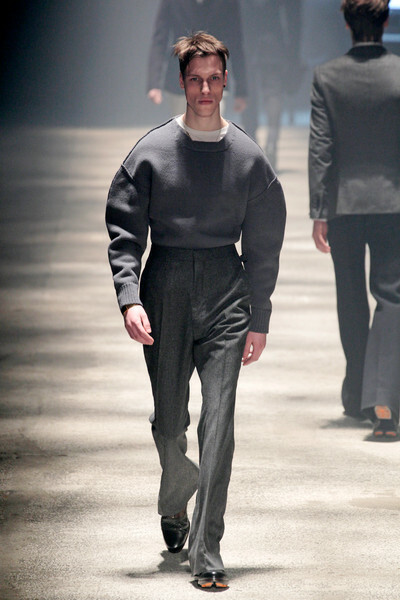 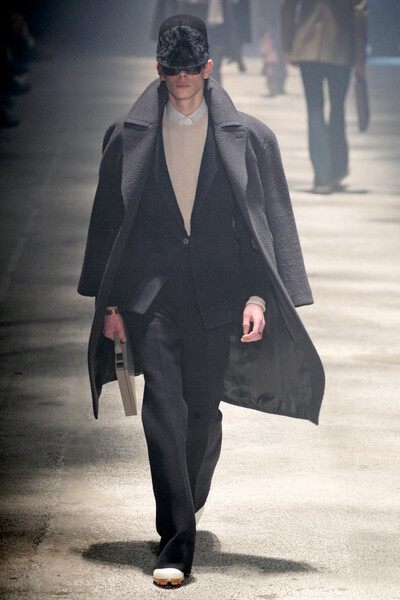 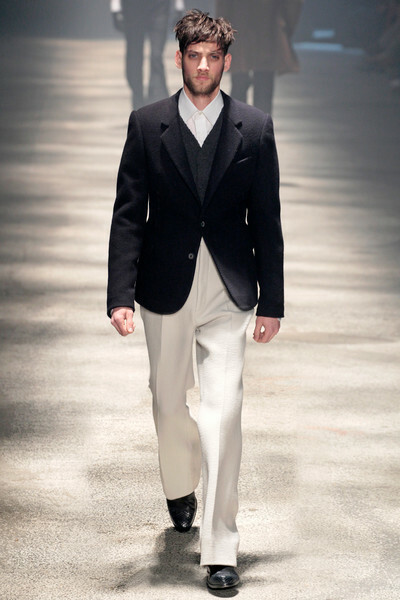 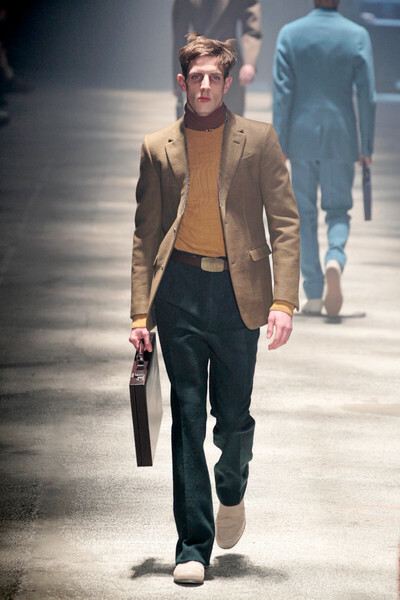 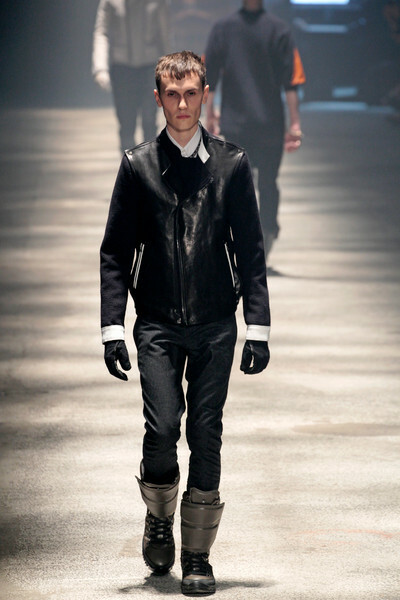 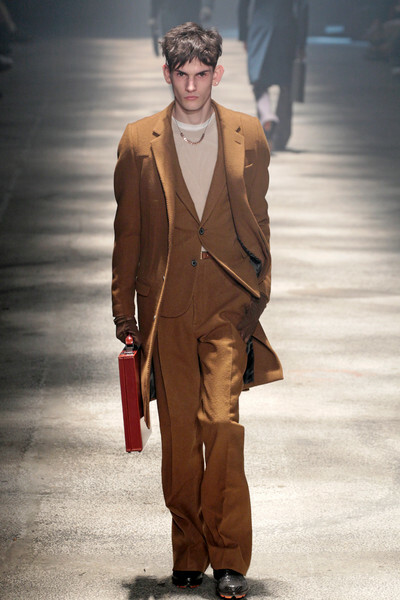 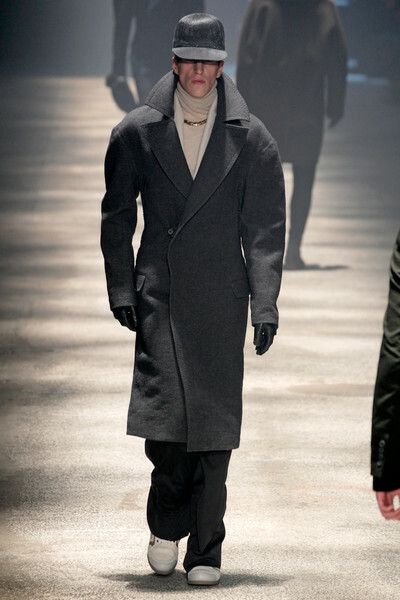 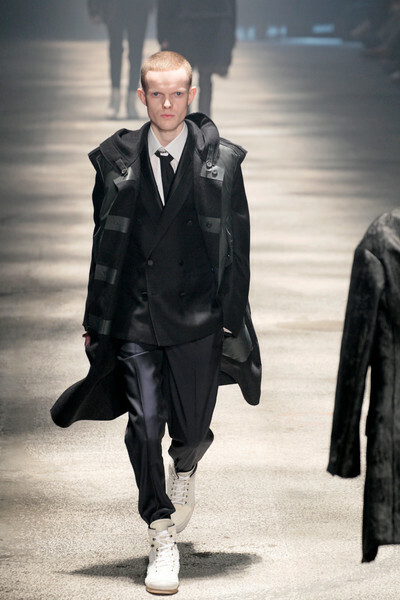 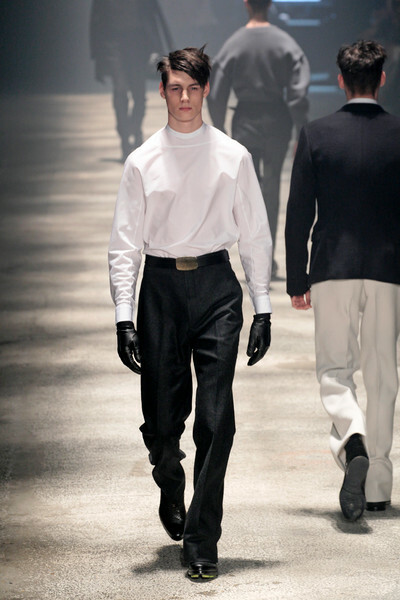 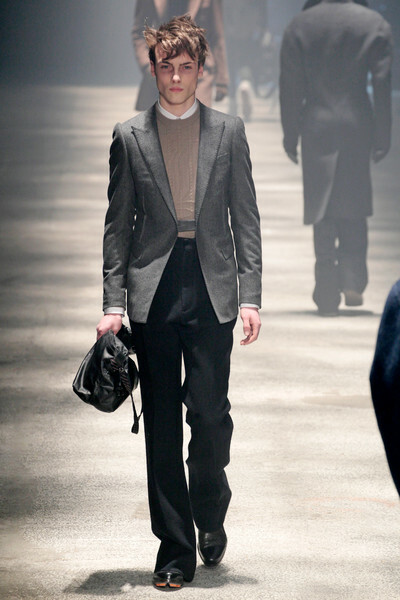 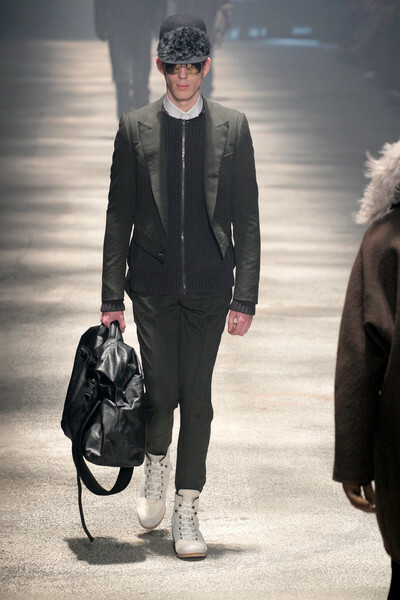 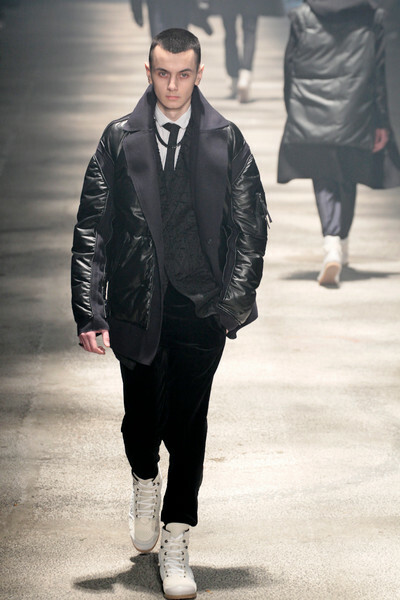 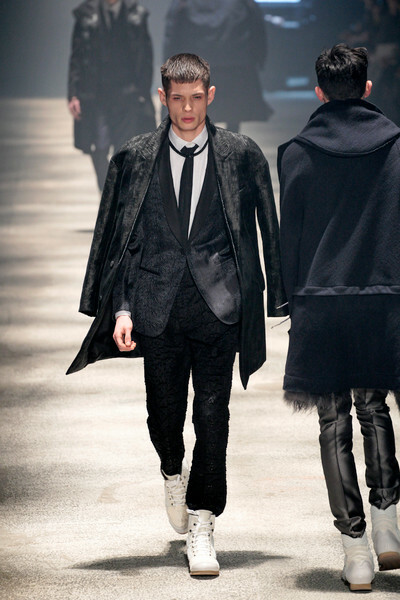 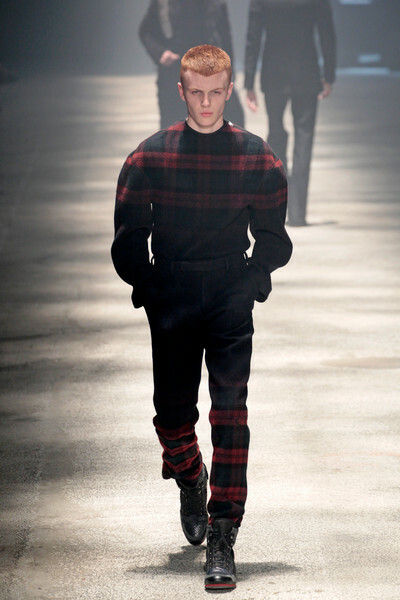 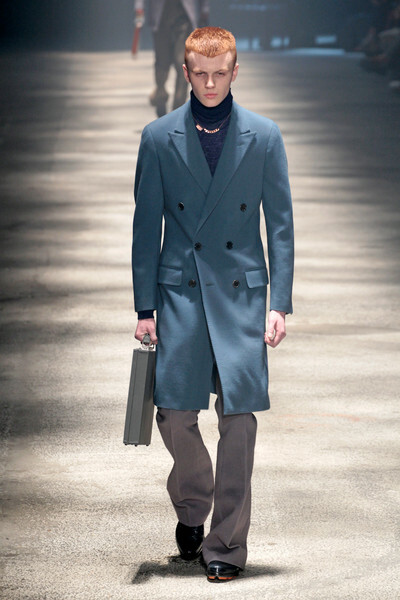 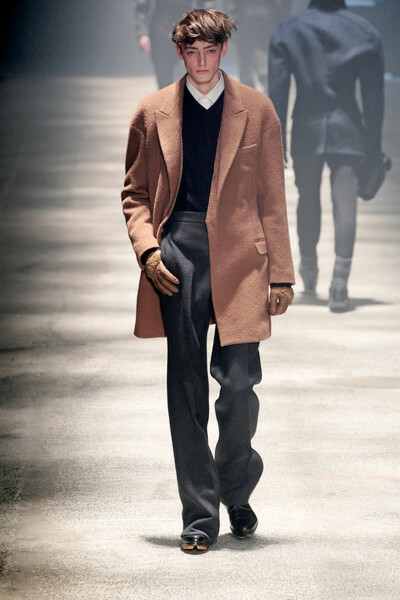 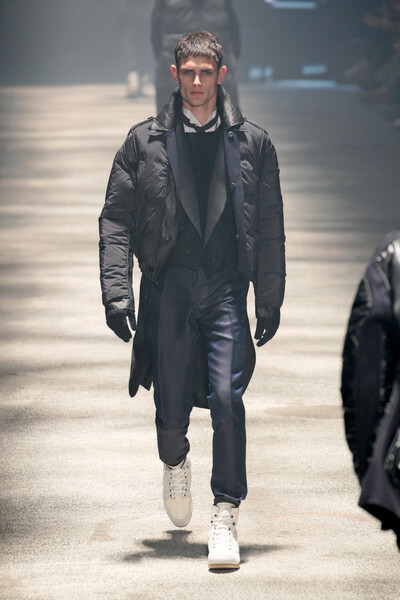 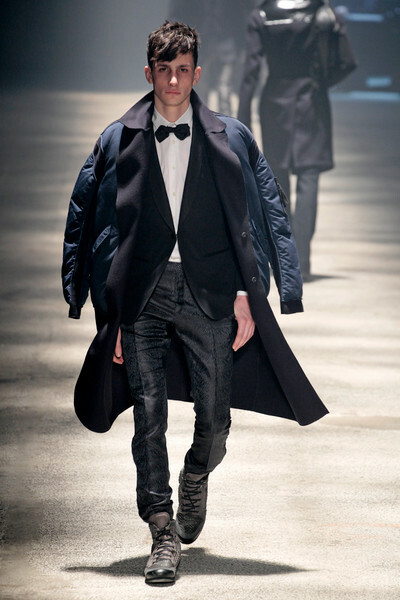 Tiny waists and broad shoulders; Lucas Ossendrijver definitely renewed the male silhouette for this fall collection. 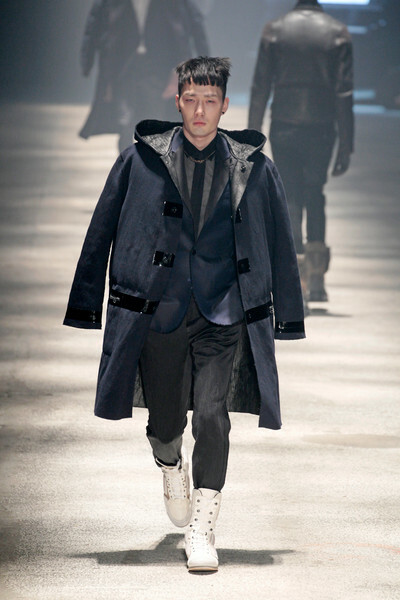 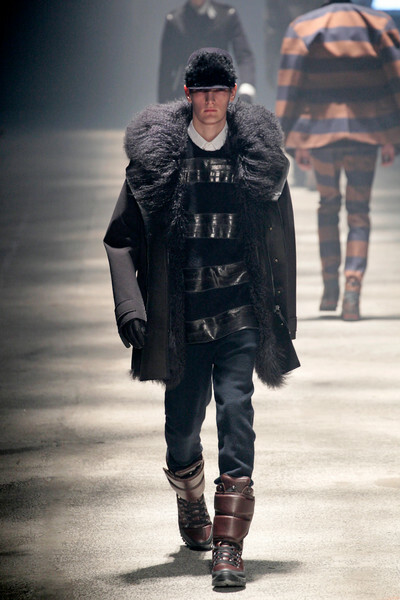 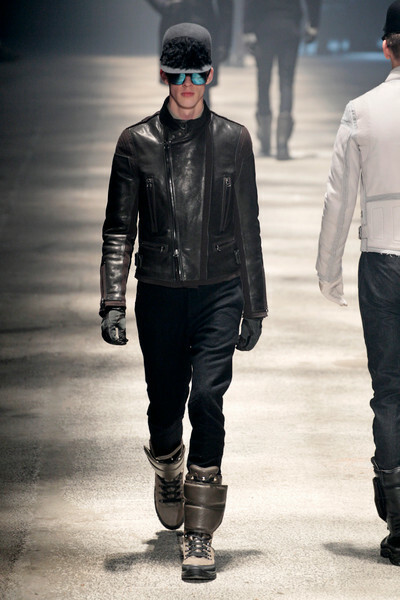 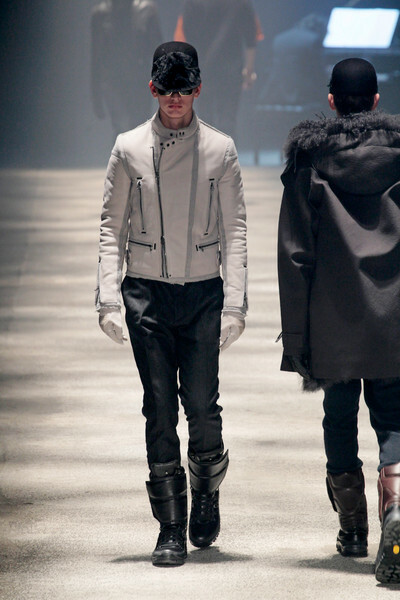 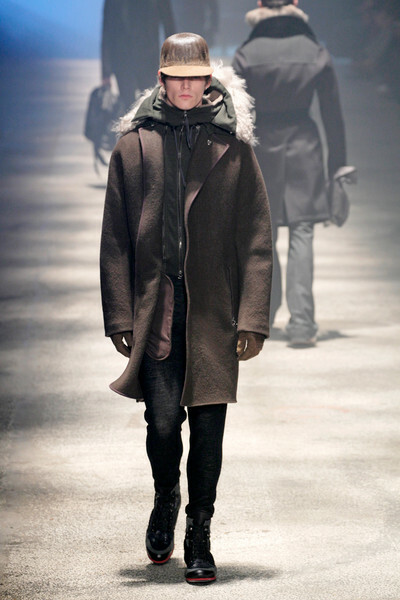 He came up with long loose pants, oversize jackets tossed on the models’ shoulders and what appeared to be boxing boots. 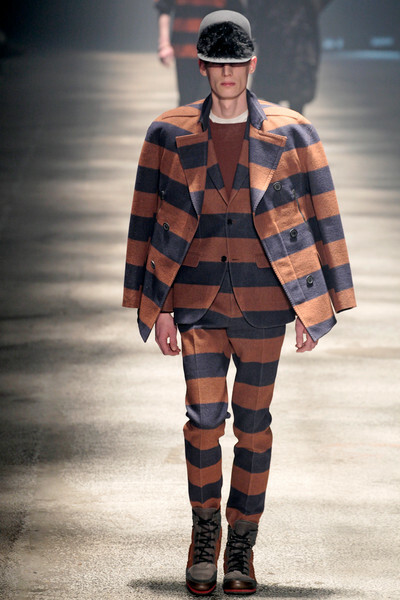 The collection balanced on the fine line between being wearable and being cartoonesk. 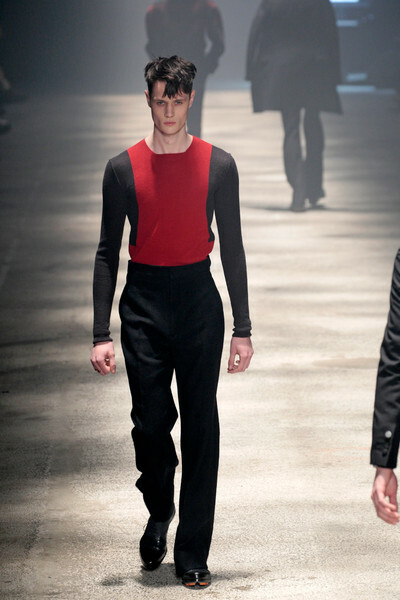 Yet if you’d take away the extravagant styling of the show most of the designs looked more subtle. 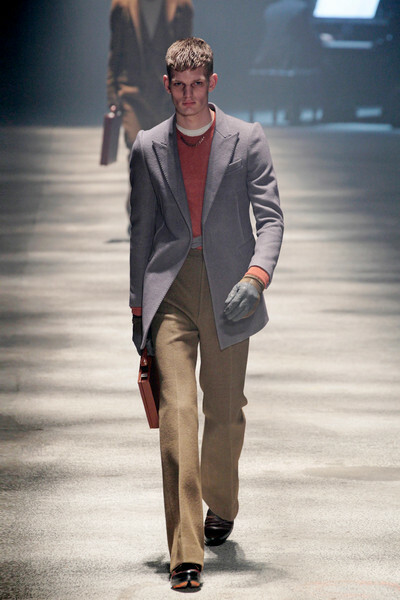 Besides full looks in camel, blue or red, looks with bold stripes and your typical deep red Tartan print were introduced. 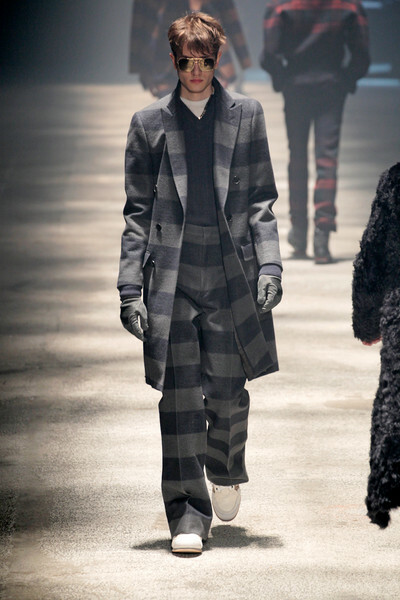 Still there was plenty of grey and black, but Ossendrijver managed to keep the collection quite light, which is very rare for a menswear winter collection. 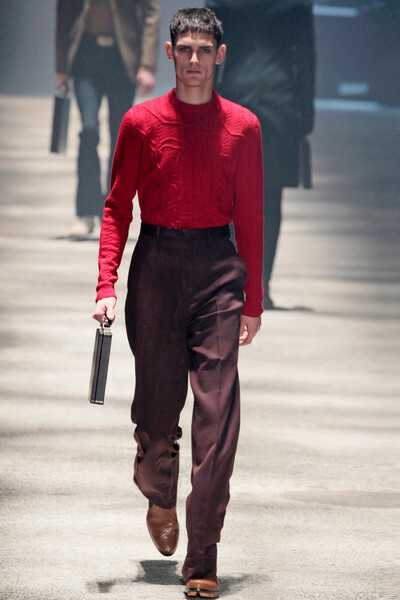 It may take a while before your average male guy decides to dress in those black high waisted pants and that tight red and grey sweater. 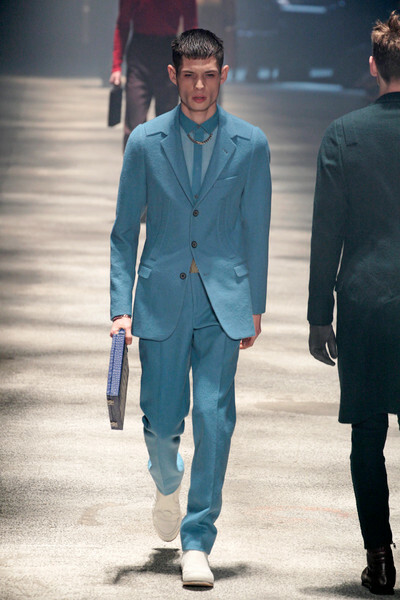 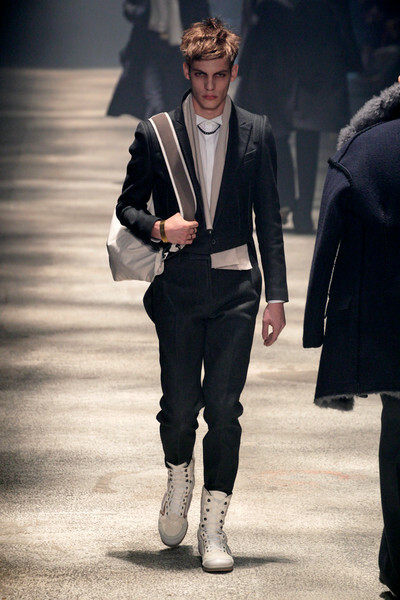 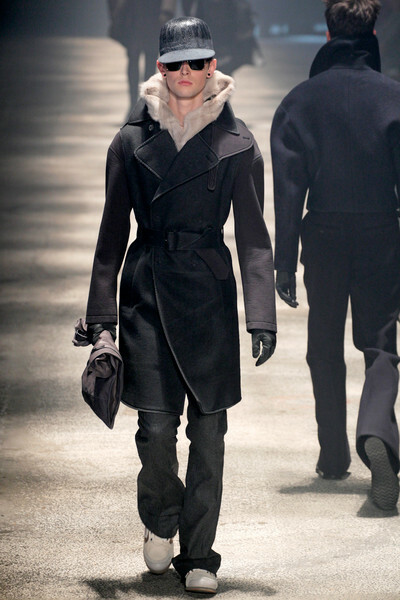 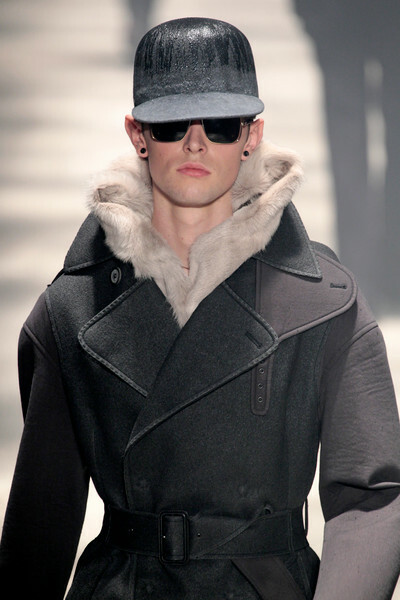 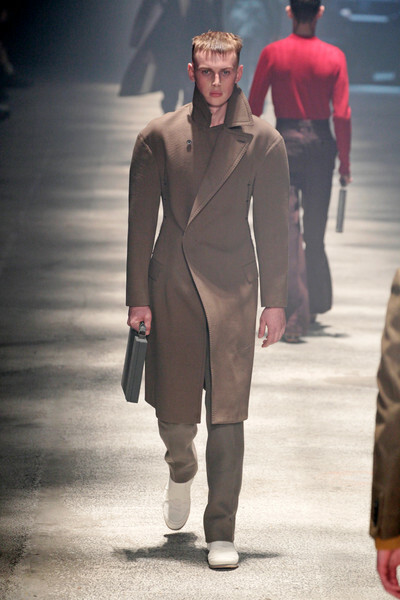 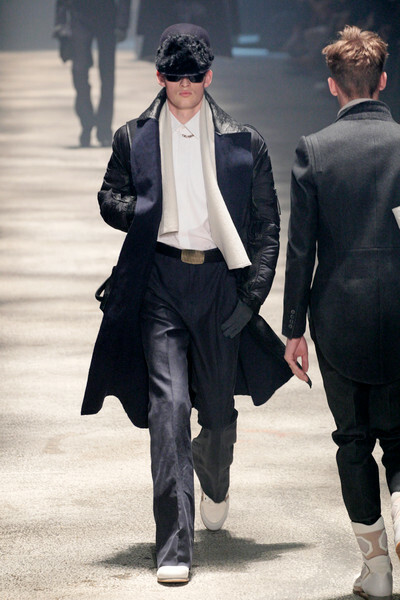 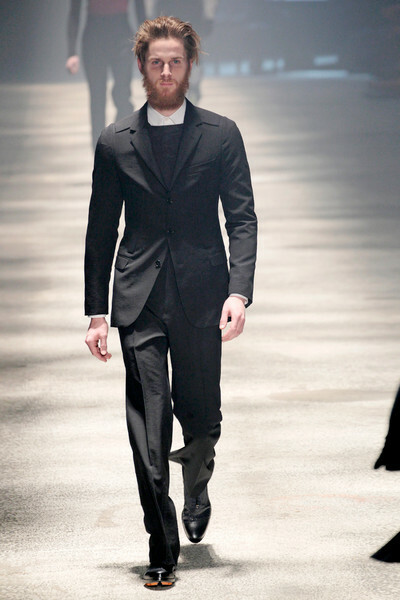 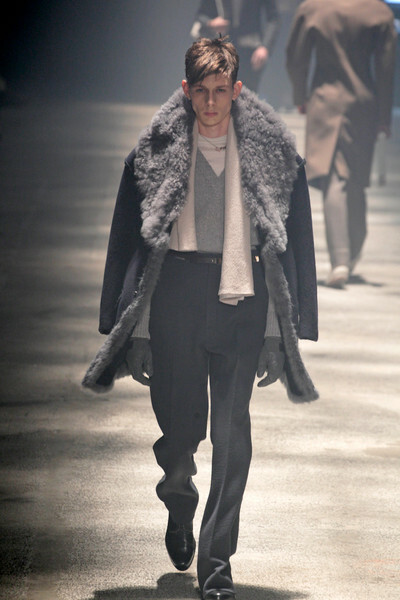 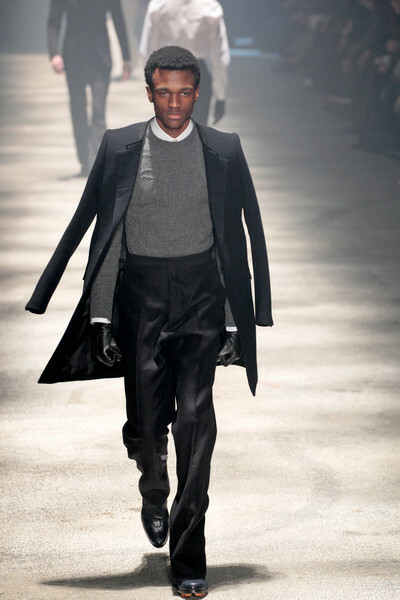 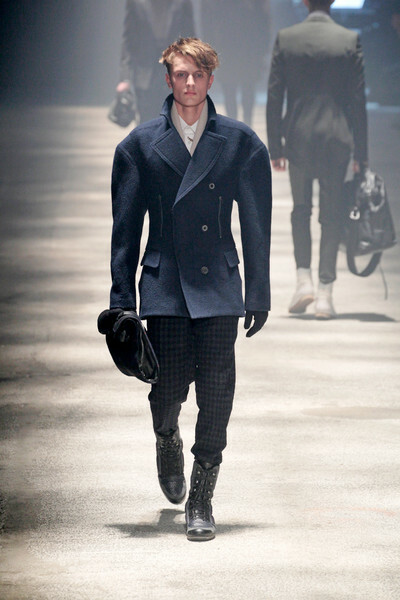 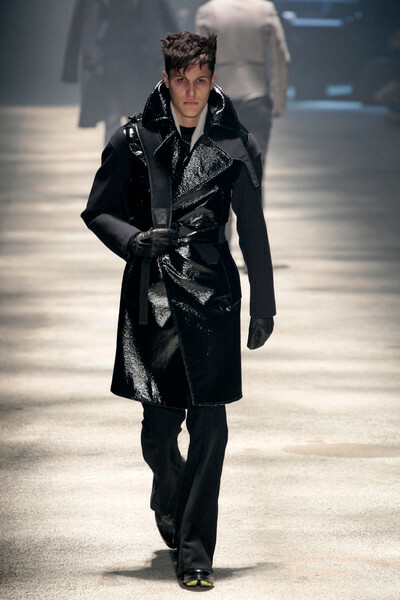 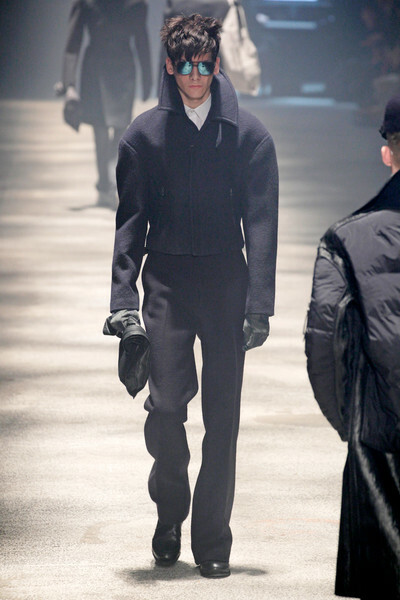 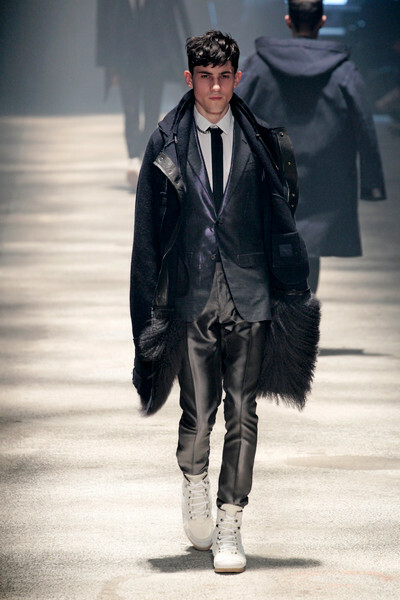 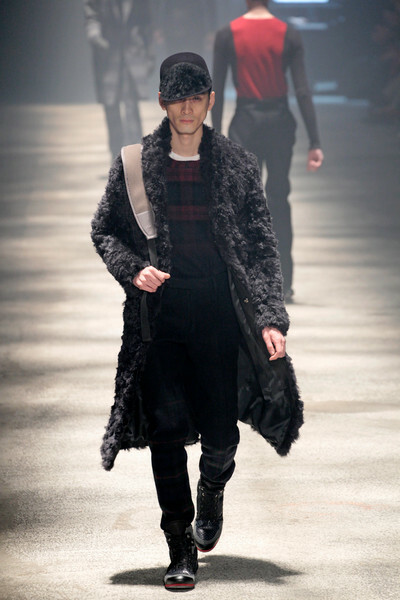 But more accentuated waists for men are becoming a trend, so Lanvin definitely nailed that one. 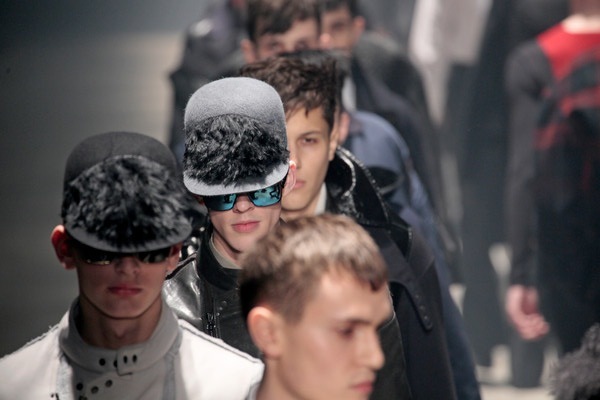 Chinese under the bridge Photographers who shoot a whole fashion show, deliver the pictures but have no clue of which designer it was.